CBS is a American commercial broadcast television network which allows users to watch online videos related to different topics. This website is available in mostly all over the countries. It was founded in 1951 and from 1951 still they are using a logo with the eye icon. Because of this eye icon sometimes it is called as “Eye Network” as well. Now CBS is providing users to watch videos on the android and IOS devices as well by using android and IOS CBS apps. CBS is providing different types of videos such as full episodes, live TV, Videos on demand as well from their website. So users can have great fun with their videos. But CBS is not giving any download option on the website for users to download and watch videos offline without internet connection. So users have to find out other ways to download CBS videos offline and watch on mobile and other portable devices. 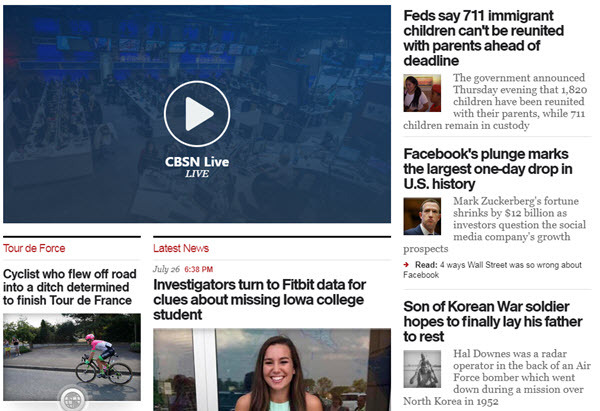 If you are in search of a program that is capable of downloading videos from CBS News without trouble, then your search ends right here at iTube Studio Video Downloader. This CBS News downloader is a video downloader that is proficient in downloading videos from CBS News without any trouble. 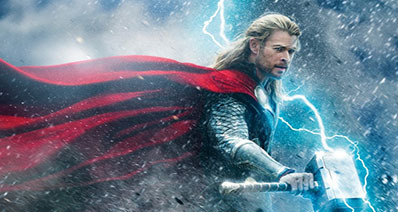 It leads the competition and unlike other video downloaders, performs excellently. It comes with added features! 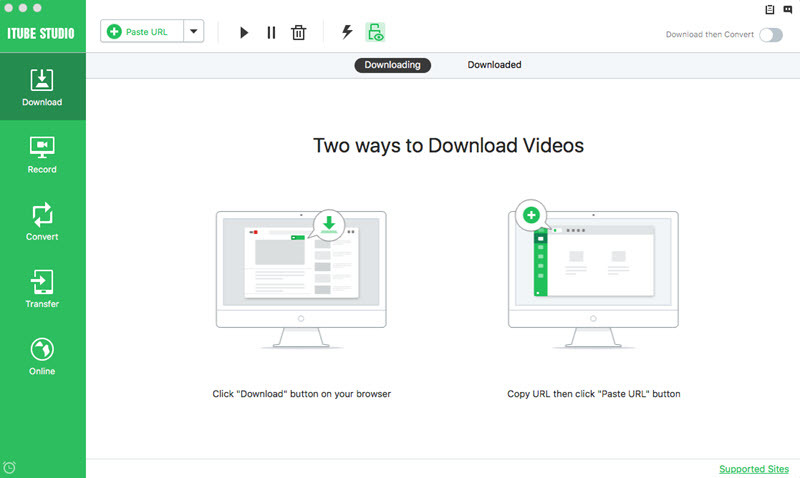 Download the video downloader and install it easily with the help of on-screen instruction. Start the program. 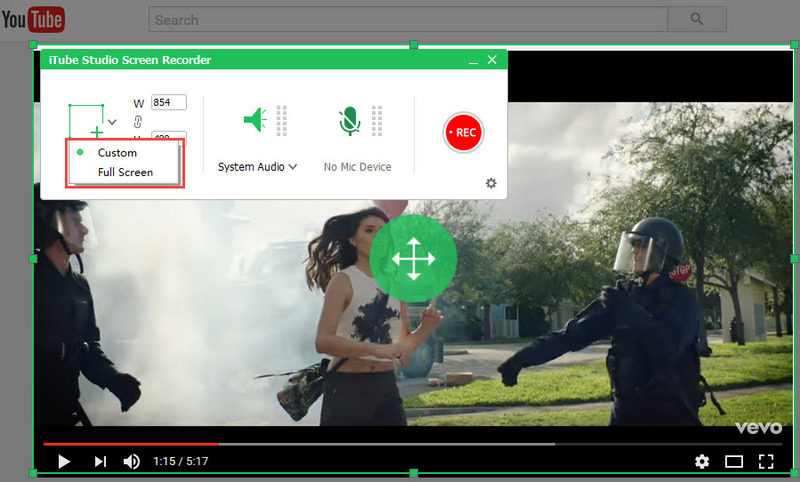 From the main interface, you will see different methods to save videos. You can directly download videos from CBS News by visiting its website through Safari, Firefox, or Chrome. Once you open a video, you will notice "Download" icon after the program detects the video. Click the icon from which you can select the preferred resolution and allow the program to download CBS News video. You can copy the video URL and paste it back in the iTube Studio main interface after clicking the "Paste URL" button. 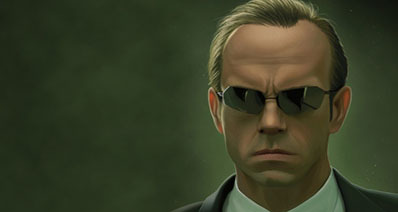 Once done, the program will begin downloading the CBS News videos in the background. Note: This CBS News downloader is capable of batch downloading. 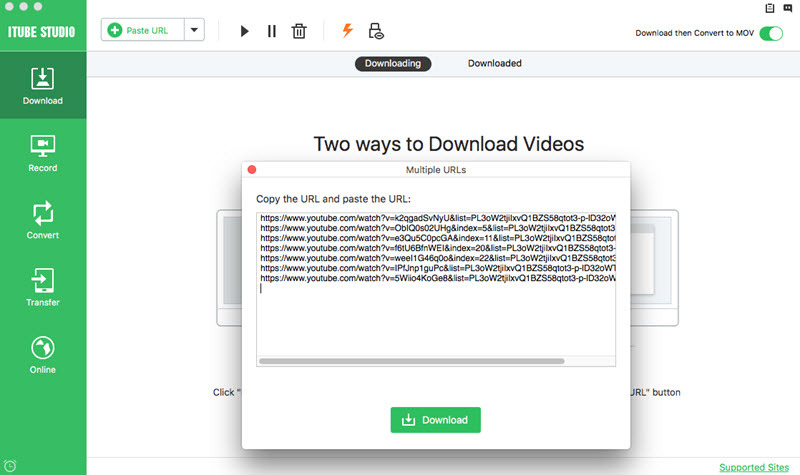 It means you can paste all the URLs of the videos that you would like to download and allow the program to run in the background. While the program continues to complete the list, you can carry on with your work or search for new videos to add to the queue. If you are worried that you have to wake up until the download finishes, forget it! iTube Studio gives you the chance to switch off your Mac after completing the schedule. Press the double arrow icon on the bottom toolbar and choose "Sleep" or "Shut Down" option. 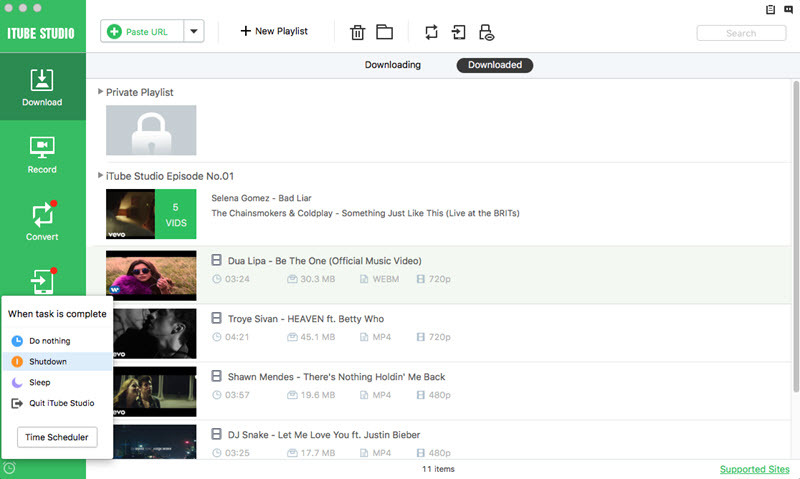 Of course, you can make full use of the Record feature to grab any video you would like to download. Just open the CBS video you want to download, then turn to this CBS video downloader. Turn to the Record tab, adjust the record area by dragging the frame. When you get it ready, hit the REC button to start. As you finish watching, the videos will be ready in Recorded tab. Given the simplest method to download videos from CBS News, you can now do it with ease in a few steps. Download all your favorite videos and even organize them right from the application for easy access! CBS is an American based commercial broadcast television network. It is a leading of property of the CBS Corporation. CBS enables you to watch News, Sports, Live TV, Videos, and favorite shows of various genres such as drama, comedy, classics and reality shows among others. 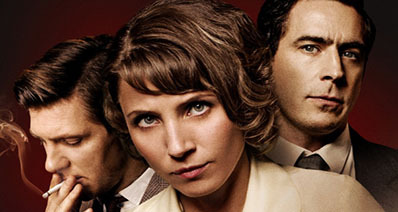 You may stream your favorite shows on CBS from anywhere in the world and at any time. CBS can be accessed on any of the following: android, fire TV, Apple TV, iPad, iPhone, Xbox, Roku, PS4, Windows 10, and Google Chromecast. Such accessibility allows you to have no reason, whatsoever, not to enjoy yourself at any time of your choosing. You can watch Live TV with additional 8500 episodes on demand on CBS. The number of shows available is almost impossible to count. You just have access to everything. It only costs US$5.99 monthly to subscribe and watch what you love with limited commercials. In case you prefer zero interruption while streaming, for an extra US$4 cost, you can enjoy commercial free videos. This means you will pay a monthly fee of US$9.99 to access all commercial free CBS Videos. The only promotional interruptions will be on Live TV, which includes commercials and select shows. CBS keeps you updated on major events. This is accessible from CBS News, CBS Evening News, CBS This Morning, 48 Hours, 60 Minutes, Sunday Morning, Face the Nation and CBSN. Each of these options will introduce you to something new. For example, CBS This Morning has alternatives such as Today’s Rundown, Politics & Power, and Pop Culture among others. Everything becomes interesting with the access provided by CBS. Other than watching CB Videos and Live TV, you may shop on the CBS Store. This store offers DVDS, Best Sellers, New Arrivals, Apparels and Winter Sales. You may stay updated on the latest on CBS and CBS Videos through Facebook, Twitter, YouTube, Google Plus, and Instagram, or the CBS Newsletter.